Etsy trend expert Dayna Isom Johnson has rounded up her predictions for the hot items to watch in 2018, and they're exactly what we need this year: we're welcoming imperfection with open arms. An ancient Japanese worldview centered on impermanence and imperfection, wabi-sabi is the perfectly imperfect (and thoroughly refreshing) philosophy behind our favorite modern home decor trend. With an emphasis on organic materials, softly textured fabrics, and natural shapes galore, wabi-sabi is all about embracing authenticity—it's the anti-retouching. When applied to home decor, we're talking hand-built ceramics, wrinkled linen sheets, and gently gnarled wood. Perfect for minimalists and maximalists alike, a wabi-sabi approach to home decor honors the beauty of embracing your truest self—and the reality of the space you live in. The newest versions of chokers incorporate whimsical elements like dangling quartz stones, fringe, or medallion details. Some styles even offer the option to tie the loose ends. 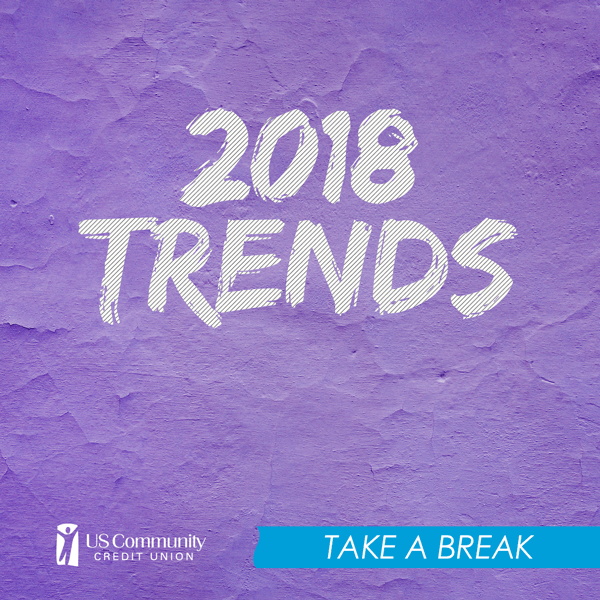 It's a great way to revisit the trend—while putting your own distinctive spin on it. Maybe it's tied to the recent rise of body jewelry or the sudden spike in unconventional (and multiple) ear piercings. Whatever its roots, the asymmetrical earring look that's been hitting high-fashion runways of late is poised to become the coolest crossover jewelry trend of 2018. In fact, there are already over 5,000 search results on Etsy for 'mismatched earrings,' and no sign of this trend slowing down. Etsy said it is seeing more and more brides forego wedding gowns. Working with shapes from the tuxedo-inspired to the romper-ish, everyone from the bride to the flower girl can skip the skirt and still stand out. Like many of this last year's trends, it's all about personal expression, both for the bride and her party. Drumroll please...Pantone's 2018 Color of Year is here: ultra violet. Just as in years past, the color is sure to show up across all categories in abundance, and the Etsy community is already getting in on the party. The color—a rich, bright purple—communicates originality, ingenuity, and visionary thinking. Sounds like the exact ingredients for a successful year.